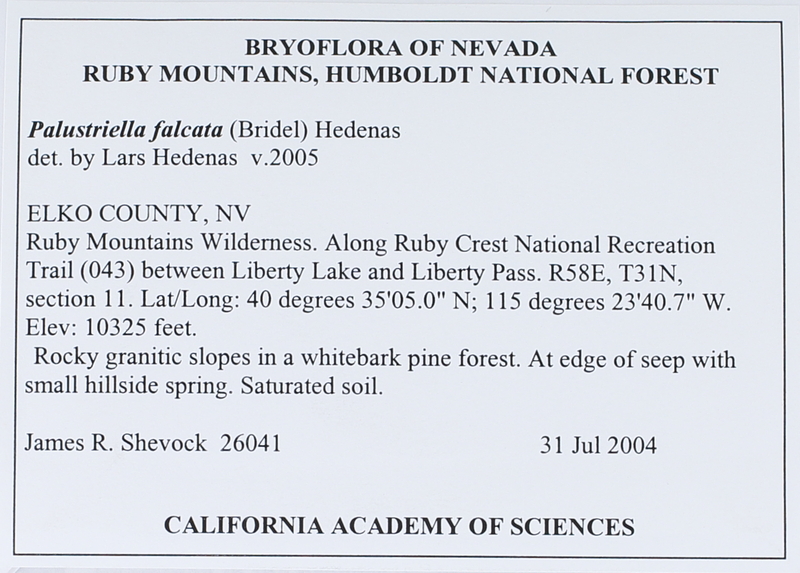 Locality: USA, Nevada, Elko, Ruby Mountains, Humboldt National Forest. Ruby Mountains Wilderness. Along Ruby Crest National Recreation Trail (043) between Liberty Lake and Liberty Pass. Habitat: Rocky granitic slopes in a whitebark pine forest. At edge of seep, with small hillside spring. Saturated soil.